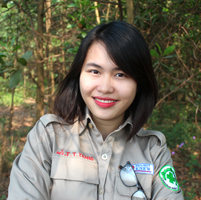 Nguyen Thi Thuy Trang has worked with Project RENEW since March 2012. Before joining the Operations in 2015, she had experienced the positions of Communications Officer and Mine Risk Education Officer for three years. Currently, Trang is working as Operations Admin Officer, working closely with field staff and assisting Operations Manager. Trang holds a B.A degree in International Economic Relation from University of Economics and Law.